Maybe you're in a similar position right now, hoping to really dial in that eye for color so you can take your brand or your own work to the next level. Either way, know that perfect palette is closer than you think. So let's break this color thing down, shall we? 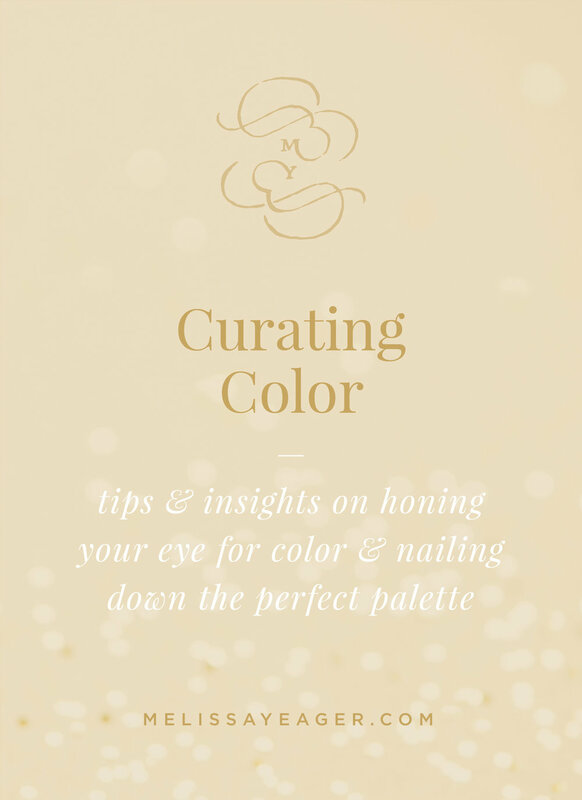 Your color palette can come to life or fall totally flat depending on how you use it. Just like a logo or painting or breakfast sandwich, color evokes an innate response in us as viewers. Many colors have established connotations, but even those can conflict with one another. For instance, red can mean stop but also love. Yellow signifies a warning but also sunshine and post-it notes. There's a healthy dose of nuance built into any colors you may choose, and you can play these up or down based on what you pair them with. Just like any brand, your color palette can come to life or fall totally flat depending on how you use it. Back when I really struggled with color, I looked at those folks doing it well and racked my brain for how they could create such gorgeous palettes. I decided the best way to absorb their color wisdom was to study them. So I started collecting the pieces that really resonated with me. I created a color-focused Pinterest board and Dribbble bucket and anytime I found a palette that stopped me in my tracks, I added it to my collection. My dribbble bucket for color is all design-related, since that's what dribbble's all about. At the start of my projects, I began pulling different palettes from this collection that felt right for the vibe I was going for. Then I'd riff and tweak and fine-tune from there. This practice helped me notice trends and learn what worked well the more I experimented. Meanwhile, my color board on Pinterest is a little bit of everything. Who knew yarn could be so inspiring!? *The key here is to note that I'm not ripping a palette directly from any one source (especially not another designer). By gathering a whole mess of inspiration for myself and pulling the pieces that feel right for my current project, I create something new and unique to me and my work. This practice of curating palettes really began to evolve when I started my own business and completely redesigned my branding process. That's when I decided that instead of designing brands first in black and white and adding color later, I'd bring color to the forefront in the very beginning and integrate it into the brand strategy of the process. Melissa, how can you do this!? Don't you know that designers need to prove that it works in black and white first, AND THEN we add color?? I'm more than familiar with the fact that many designers work this way, but it just didn't work for me. Pulling color in later always felt like an afterthought and the results were never as cohesive as I wanted them to be. I made this shift because although a logo needs to work in black and white (obviously 🤦🏼‍♀️), this is more of a background check designers should be doing behind the scenes. Ensuring that an identity works in a black and white is more like spell checking your client proofs before you send them to the client—essential, but not necessarily something that you need to call a lot of attention to. I've found that working with color from the start gets me even more hyped up and excited as I'm designing. It also brings the brand to life that much more for my clients when I present it to them. Now instead of needing to imagine the brand in color, they can go a step farther and start to imagine it plastered on all the things just the way it is. 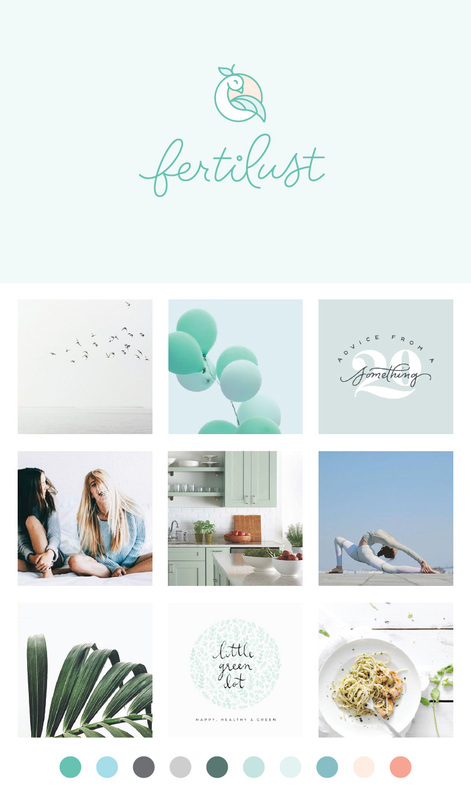 So as you can tell from the images above, my style boards in the brand strategy phase not only speak to the tone, typography, and visual style, but also to the color palette. I work in color from there on out. I start off by pulling a bunch of swatches from my approved style board. This gives me a stellar client-endorsed jumping off point for color, but still leaves me enough room to experiment and see what works best. The swatches evolve into a proper palette as I work which is then fine-tuned along with the brand. Another color factor to pay special attention to is the inherent palette of whatever you're working with. Are there colors right in front of you already? With artists, photographers, and designers look for the color trends in their work. Are they classic, vibrant, muted, or a party waiting to happen? If it's a product, what color is it? How do the raw materials look? This insight came into play heavily in my work with the Sattwai Chai brand, where we sampled the color of their chai and raw ingredients for the final palette. Pay attention to the colors that are already baked into the brand, staring you right in the face. Whether you mimmic, complement, or contrast them, this can lead to interesting tie-ins that take your brand to a whole new level. That's about all I have to share on color for today, but before we sign off let's do a quick run-down of our takeaways on color. The power of color is in how you use it. You don't need to start from scratch, but you do need to find your own fresh take. Color brings brands to life and gets us in the mood. Check in with the inherent colors already at work. Let these inspire you. Curating color is an evolution. Can't get enough? Here are some gems to help you on your journey with color. My business twin Bre from Rowan Made has shared great posts on both color theory and how she curates brand moodboards. If you're of the Photoshop persuasion, my man Justin Mezzell has a killer process for coming up with fresh palettes, that will positively blow your mind. 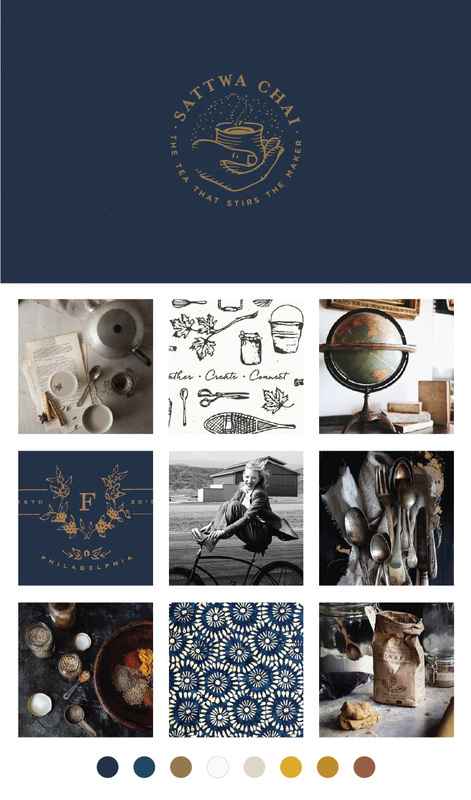 Design Quixotic has a wonderful Color Story post series you can easily browse on Pinterest. I thought more people knew about this, but I LOVE playing around with dribbble's Browse by Color page. You can choose any color you want and see how other designers are using it, and even play around with the proportion in which that color is used. Both helpful and mesmerizing. Just tap the arrow next to that little ink droplet and let the fun begin!